It is illegal to operate a motor vehicle while under the influence of drugs or alcohol anywhere in the nation. However, the penalties for DUI differ from state to state. A Nebraska DUI carries stiff penalties if convicted and has differing levels of punishment depending on your BAC (blood alcohol concentration) and age. In most cases, you will have an ignition interlock requirement, as well as other legal consequences. If you are under 21, Nebraska has a “zero tolerance” policy. This means if your BAC is .02% or above you will be charged with a DUI. Drinking underage is already illegal. Don’t compound your mistake by driving afterward and creating an even bigger problem. Another special circumstance Nebraska DUI occurs if you are a CDL driver. If your BAC is .04% or above while driving with your CDL, you will receive a DUI charge. This has an impact on not only your daily driving but your livelihood and can be life-altering. Losing your CDL license will result in a loss of income and you most likely will never be able to regain your job. Traditionally a Nebraska DUI is the charge when your BAC is .08% or above, however you can receive a DUI even if your BAC is lower if there are extenuating circumstances. For example, if you are driving erratically then you are exhibiting signs of intoxication, regardless of your BAC. There are also aggravating circumstances that can increase your penalties, such as a BAC over .15% or a minor 16 and under in your vehicle at the time of your DUI offense. The best thing you can do is to not drink and drive. Always have a plan in place for if you over-imbibe. 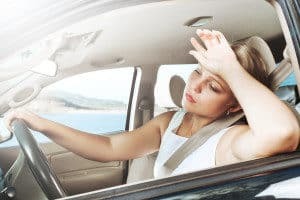 If you do get caught driving under the influence and charged with a Nebraska DUI, the first thing you need to do is contact a qualified attorney. You need someone on your side to help you navigate the often confusing legal system and help you to mitigate the harsh penalties that come along with a DUI conviction.